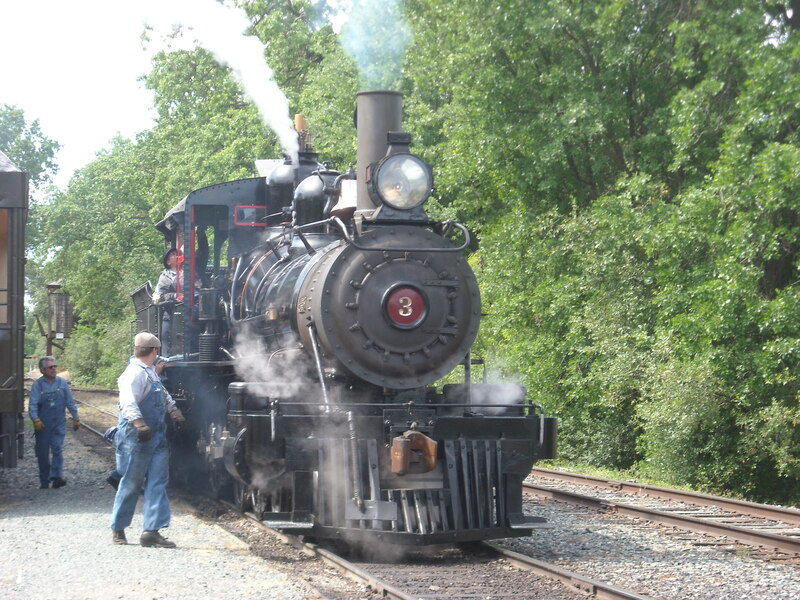 To kick off the summer season in rail-related style, popular weekend excursion trains will be running all three days of the Memorial Day holiday weekend — May 25, 26 and 27 — at Railtown 1897 State Historic Park (SHP) in Jamestown. 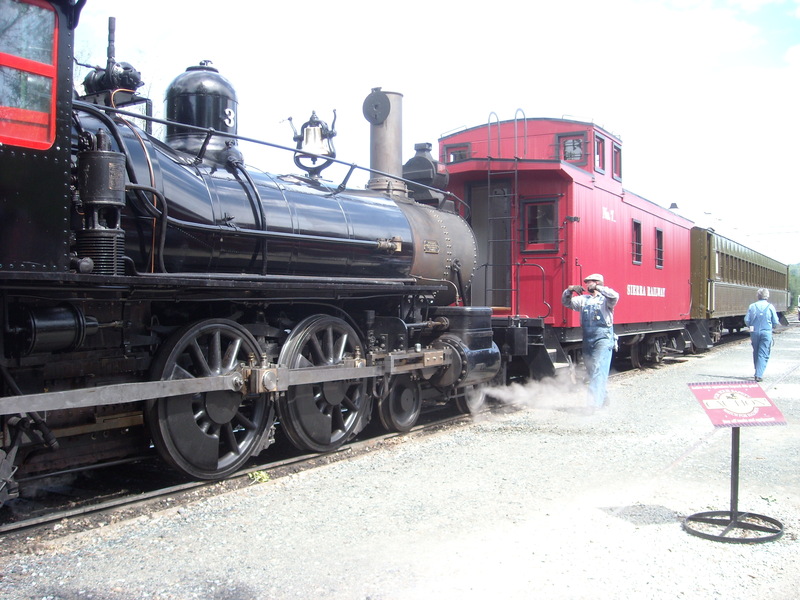 As a highlight on Saturday and Sunday, steam-powered excursion train rides behind Sierra No. 3 are available; then on Monday, visitors have the opportunity to take a ride behind a vintage diesel locomotive. For all three days of the holiday weekend, the prized Caboose No. 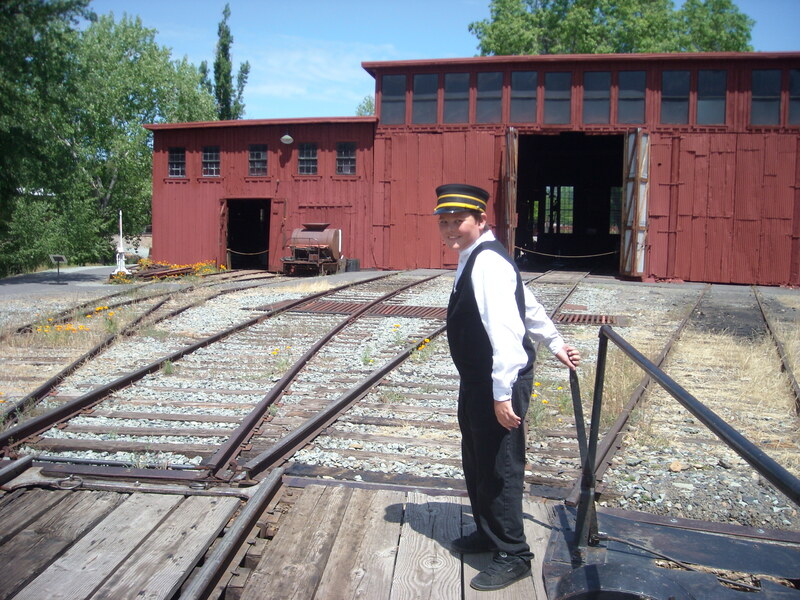 7 will be open for tours and, as a special treat, local musician Jim Nelson of the Black Irish Band will be aboard the trains playing banjo, guitar and vocals. 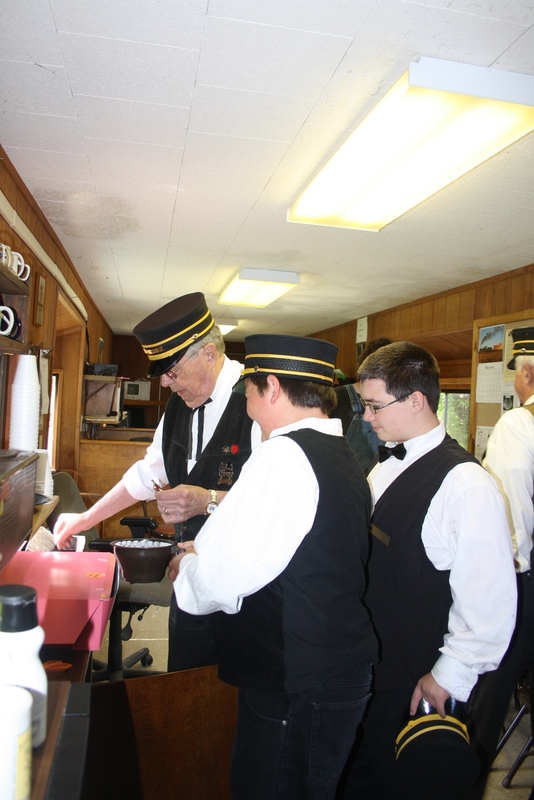 Excursion trains will depart on-the-hour from 11 a.m. to 3 p.m. on Saturday, Sunday and Monday, delighting visitors from near and far during a six-mile, 45-minute round trip ride along the rails of the famous “Movie Railroad,” passing through California’s scenic Gold Country. Tickets for the weekend excursion train rides during the holiday weekend are $15 for adults, $8 for youths ages 6-17 and free for children five and under. All train ride tickets include Park admission and are now available for advance purchase online as well as at the ticket window beginning at 10 a.m. on the day of the ride (based on availability). 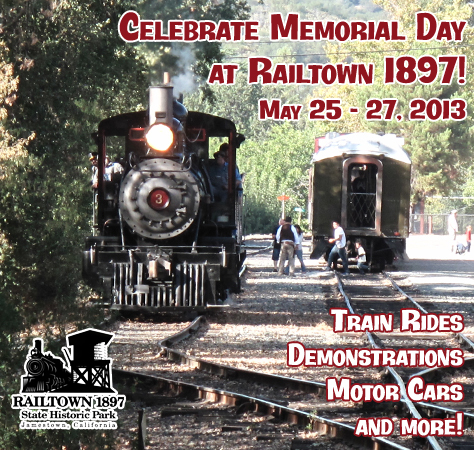 For more information, call 209-984-3953 or visit www.railtown1897.org. The Sierra No. 3 and Santa are set to make an historic appearance in Sonora on December 1st! Come see the Sierra No. 3 lit for the holidays, and with Santa on board! 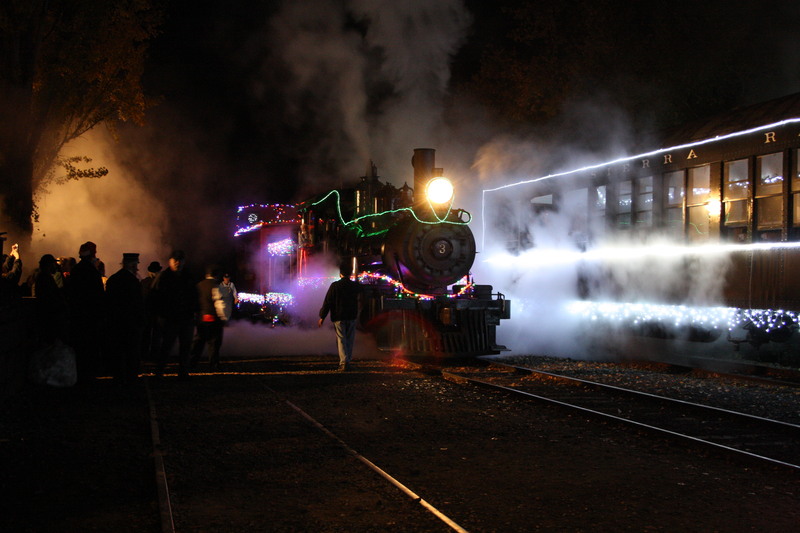 Sonora, Calif. – On December 1st, for one night only, The Sonora and Twain Harte Rotary Clubs and the Kiwanis Club of Sonora in cooperation with Railtown 1897 State Historic Park, the Sierra Northern Railway, the California State Railroad Museum Foundation, J.S. West, and Sierra Pacific Industries will bring “movie star” Railtown’s Engine No. 3 to Sonora to say “Thank You!” to the community for helping “Keep Railtown Rolling” and to show off the recent restoration of this historic locomotive. The event will be held in front of the Tuolumne General Hospital (Hospital and Washington Streets) from 5 to 8 pm. For the first time since 1992, the Sierra No. 3 will make an appearance in Sonora, on Saturday December 1st from 5 until 8PM, at S. Washington Street and Hospital Road. 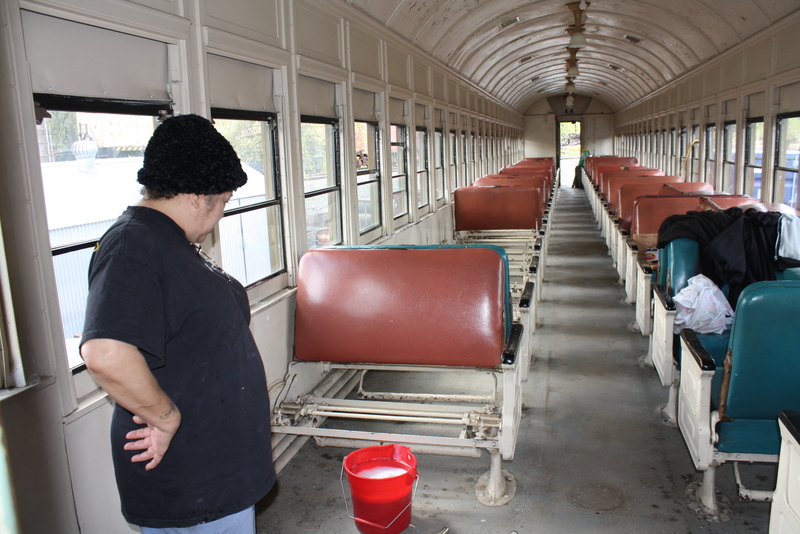 Visitors will have the opportunity to climb aboard and visit with Santa while the train is in Sonora. Hot Chocolate, carolers and lots of holiday lights will be part of the free event. Parking is available in the Tuolumne General Parking lot. 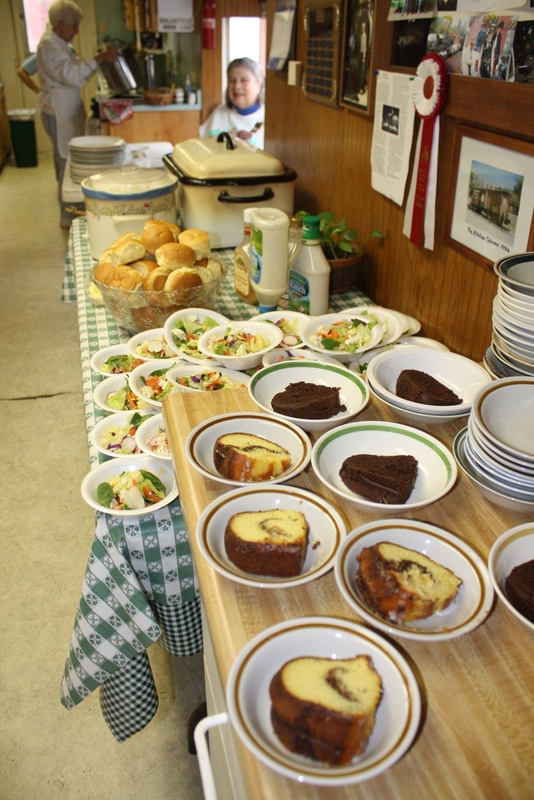 The Sonora and Twain Harte Rotary Clubs have joined together for this unique event as a way to thank the people of Tuolumne County for stepping up to help ‘Keep Railtown Rolling’. Members from the community donated thousands of dollars in 2012 to support the park which was threatened with closure this year for the third time in 10 years. The last operating weekend for train rides at Railtown will be December 15th & 16th, and will be pulled by the Sierra No. 3, with Santa on Board! “Fueling the Railroad” Stationmaster Ron White shows Jr. Volunteers Trevor and Warren how to make coffee. Also see us on facebook. Tuesdays at Railtown seem to get busier and busier. There are many projects in progress, here’s just a few. . .
Phil Hard trims studs mounting the bell. 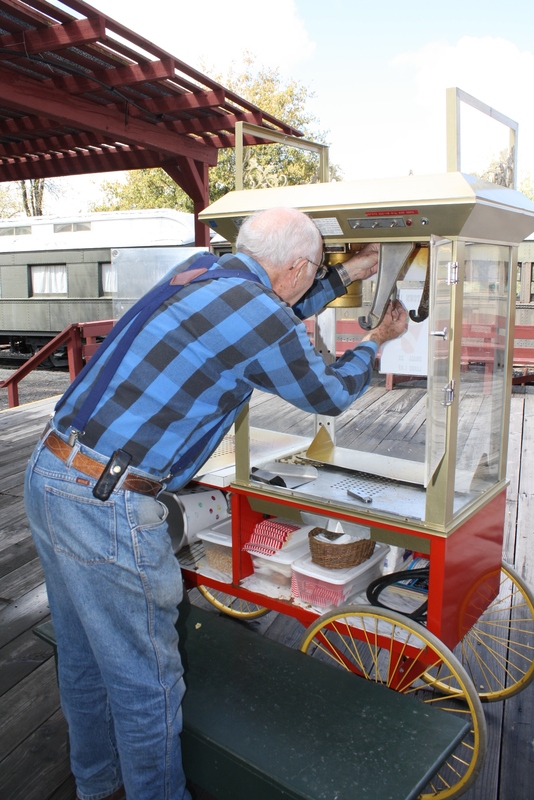 John Stier replaces parts in the popular popcorn machine. 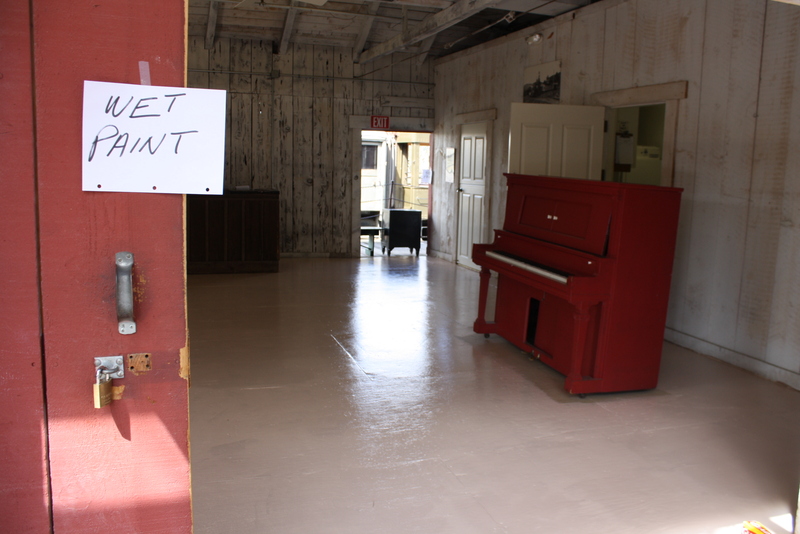 The Carriage Room floor received a fresh coat of paint. 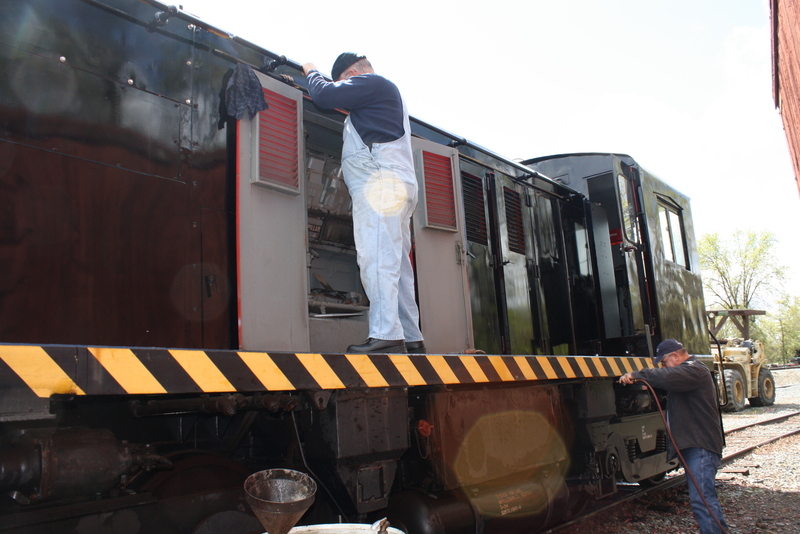 Stan Eggink and Mike Warzee put final touches on the 1265 diesel. 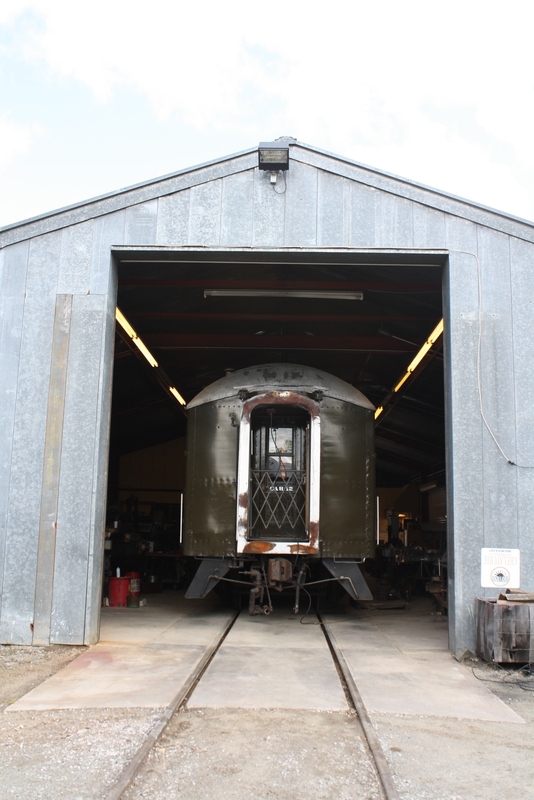 The standards were designed to apply to structures, however, we have found them to be useful guidelines for preserving and restoring railcars and locomotives. 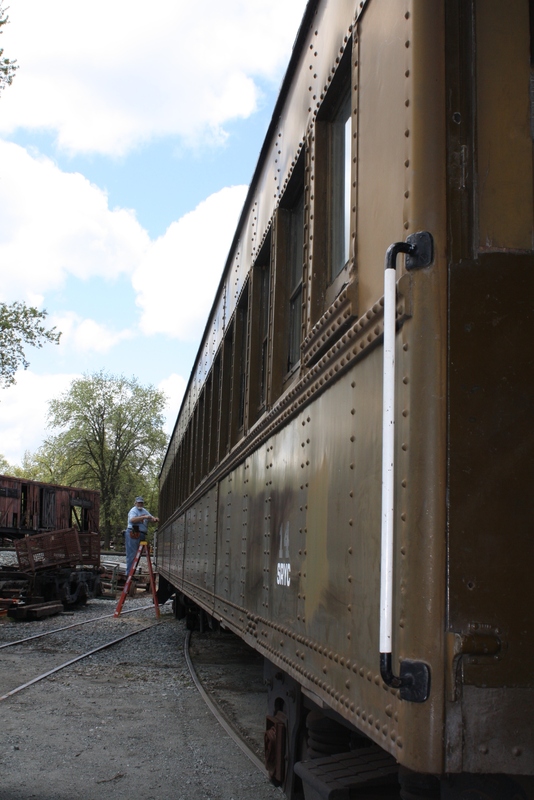 We currently have two restoration projects ongoing at Railtown; the Sierra #3, which could be classified as somewhere between a restoration and a rehabilitation, and the Caboose #7, which would be more accurately described as a rehabilitation. There are unique challenges to any preservation project, whether it is a building, vehicle, or other artifact. Addressing those unique aspects with specific and creative solutions which preserve the integrity of the resource, is what makes this field and interesting and challenging one! Arguably, the structures at Railtown (the historic shops of the Sierra Railroad) are the greatest historic resource at the site, and of course, the Secretary of the Interior’s standards are applied in their preservation. The site is not currently listed on the National Historic Register, however, it is clearly eligible (listing it hasn’t been pursued because our limited resources have been directed to more urgent issues, and because it is already protected as a State Historic Park). Therefore, every proposed change, minor or major, is carefully reviewed by qualified staff, following CEQA (California Environmental Quality Act) requirements. This process can be tedious and time consuming, but is an important step to ensure that well-intentioned, paid and volunteer staff do not make changes over time that can impact the integrity of the site. It is also an important step to document changes, over time, for future park managers and historians. For example, we will soon begin an electrical upgrade to the historic roundhouse. These important improvements will (hopefully) reduce the fire hazards to the building. Park staff propose to utilize existing conduit wherever possible, retain extinct hardware, and keep modern replacements out of the “historic viewshed” by placing them in hidden areas, or camoflaging them. The upgrade is unavoidable because we wish to continue using the building, but we seek to find elegant solutions to mitigate changes, and document, document, document! In many ways, the restoration challenges for the Sierra #3 are more complex. Because we wish to operate the locomotive, we have taken a very different approach than if our intent had been to put it on display. 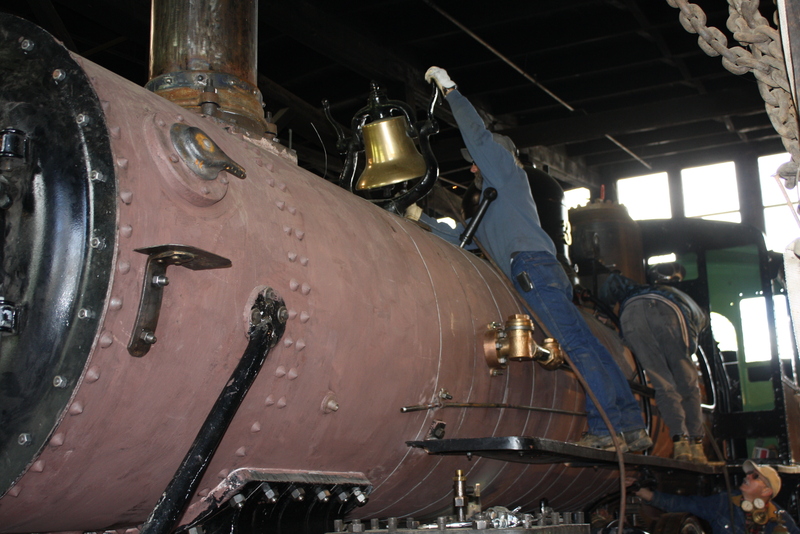 Much consideration was given to “restoring” the original boiler. Contraints included cost, employee safety, and feasibility, as well as artifact preservation concerns. In the end, it was decided that it would cost the same, be safer for employees, and better preserve the original artifact if we built and operated a new, welded boiler. Critics would argue that it is no longer the same locomotive. Others would argue that operation of the locomotive over the years, including repairs after wrecks, replacement of worn parts, wheels, tires, tubes and valves, new paint jobs for film shoots, and all of the minor tweaking over time, has caused cumulative changes that have been just as significant. The curators will argue that the “original” parts could be re-assembled for display at any time. All of the arguments have their merit. To learn more about historic preservation standards, and the recomendations of the Secretary of the Interior, please visit the NPS site. 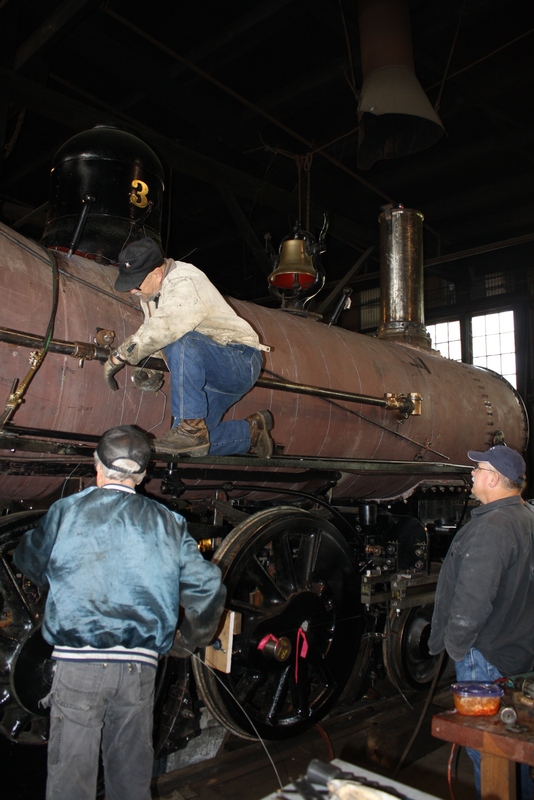 Although the Sierra #3 restoration gets most of the attention, there’s another restoration going on at Railtown which progresses every Tuesday volunteer workday. Its the Sierra Caboose #7. 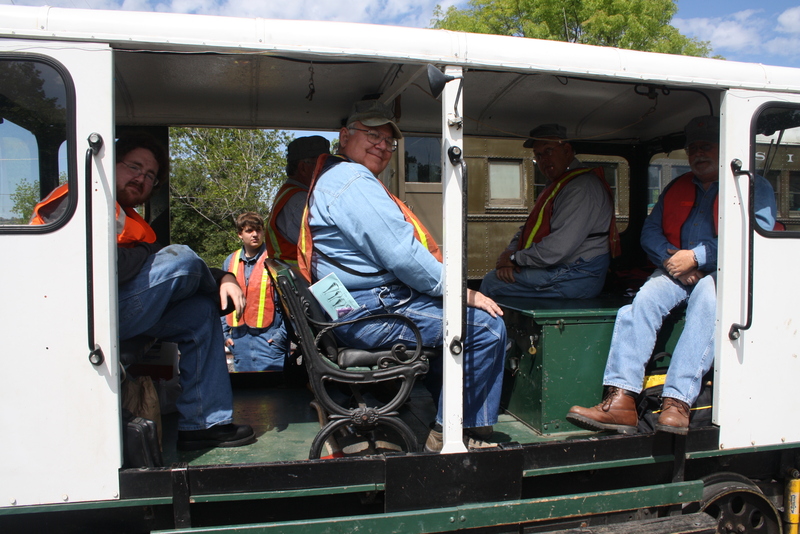 Volunteers, led by Marty Gerbasi and Gary Hosman have been diligently working to get this caboose back in service. In 2007, what started as a repair to the siding, developed into a bigger job, as a great deal of rot was discovered. The crew has taken care to preserve as much of the original fabric as possible, and has carefully replaced in-kind, where necessary. When completed, it will be painted red (for reasons we’ll discuss in a future blog entry). In the future, it will see special-fare service, and will also be available for special events. A pink caboose? Of course not, silly! It's the primer. Marty Gerbasi and Cliff Hughes working on the interior of the caboose. 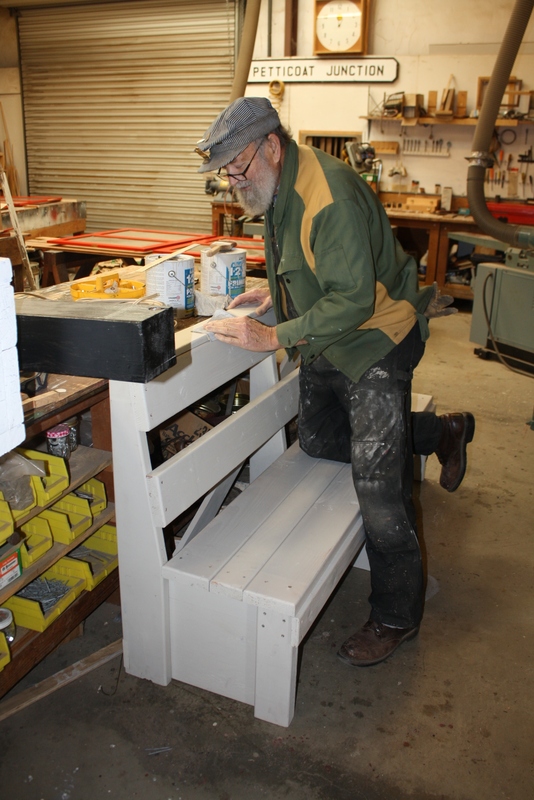 Cliff Hughs adjusts hardware on the door of the caboose. Rain or shine, Tuesdays are a big day at Railtown 1897 State Historic Park. Volunteers swarm, and lots of work gets done by paid and volunteer staff alike. Just a few snapshots of what has been happening today. . . Maintenance Worker Danny Taylor, with Volunteers Mike Rainwater and David Deutch, installing our new entrance sign. Volunteer John Stier working on universal joint on our "vintage" Hyster forklift. Restoration worker Erik Young welding on the tender truck frame for the Sierra #3. Volunteer David Ethier consolidating primered truck parts for the Sierra #3 in anticipation of assembly. Volunteer Rick Willson machining pins for Sierra #3. 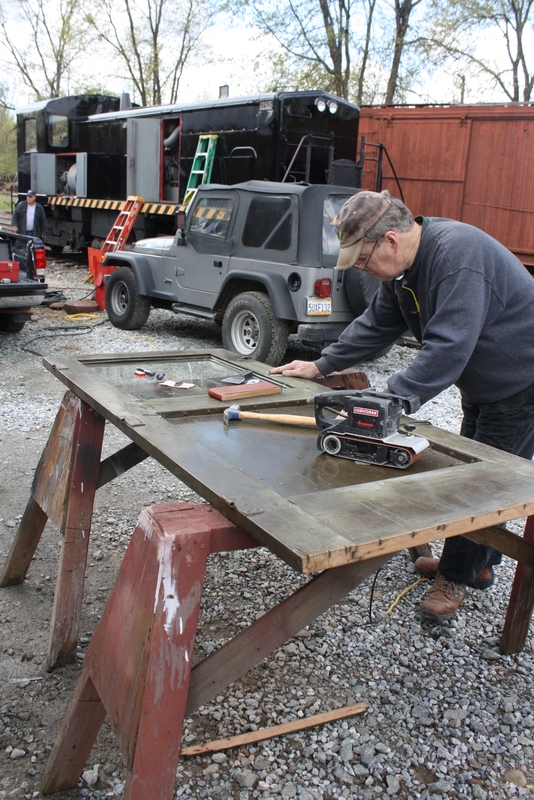 Volunteer Gary Hosman putting finishing touches on new window frame for the Caboose #7 restoration. Just another Tuesday at Railtown!